Four flushmount Wedding Albums of Calamigos Ranch wedding photography. The 12x12 album was for the bride and groom and features a white leather cover with a wine colored leather stripe and one cover photograph. 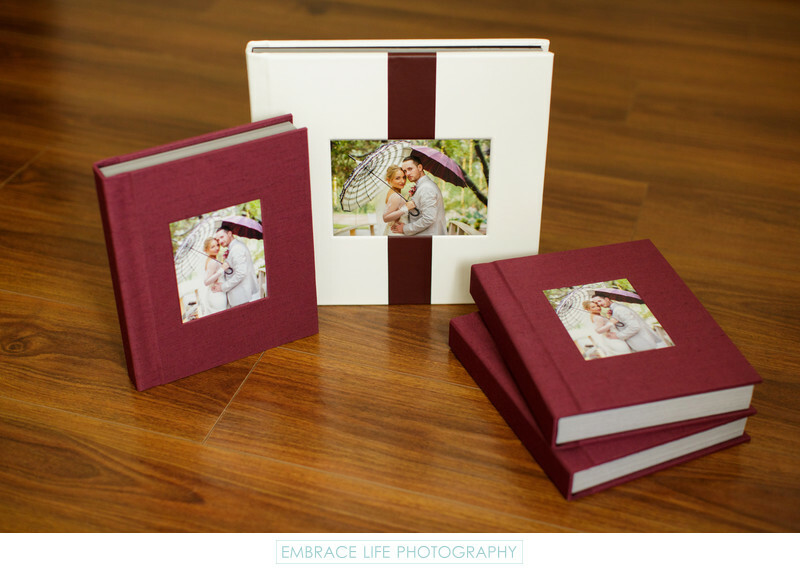 The three burgundy linen covered albums are Standard Albums for the couples' parents.